Yes, M7chele was accommodating and so easy to work with. Our family member will be very happy with her present!! I've been loving silouettes lately. 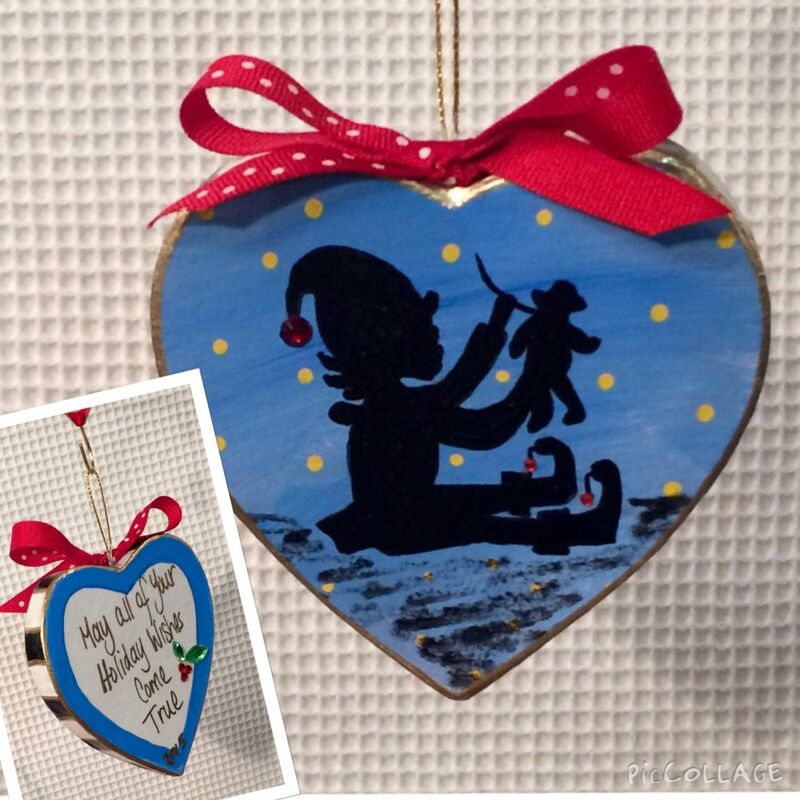 This charming ornament is hand painted and designed by me. 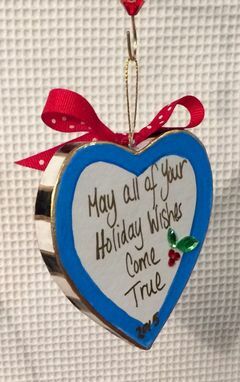 From it's adorable, embellished elf shoes, to the warm sentiment on the back, this is a perfect addition to any holiday tree. Heart shaped, lightweight and shatterproof. I can add custom wording if you wish. Just ask! Each piece is meticulously designed, primed, base coated, decoratively hand painted, sealed to a glossy sheen, signed and dated by me!! The artist. Creating custom, hand painted furniture and home decor since 2005. Almost 2000 sales and a 5 star rating! Painted by the order, so there is never a limit on quantity. Despite the listing, ACTUAL International shipping costs will be calculated, and adjusted if necessary, before or after purchase. Just contact me and we will work together! Every maker has a story. Be a part of Michele Sprague Design's story by placing an order, leaving a review, and seeing your review appear here.